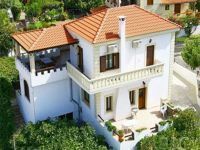 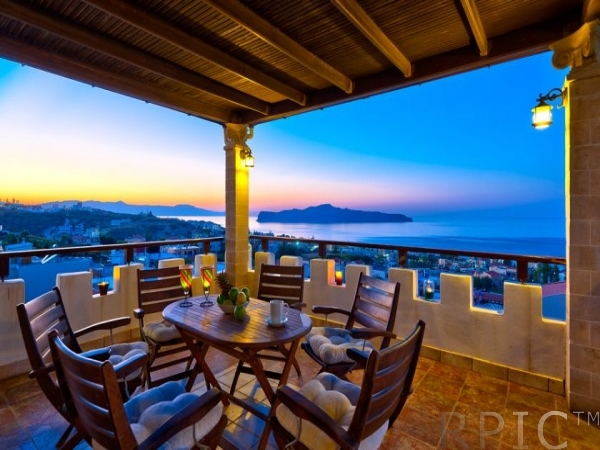 The 2-bedroom villa Giorgos is built on the hillside of the waterfront village of Stalos, 500 meters from the sandy beach, offering marvellous views. The rates are per villa per week for up to 6 person. 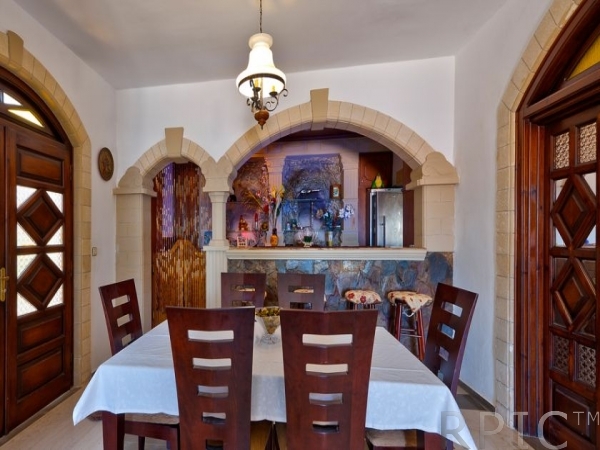 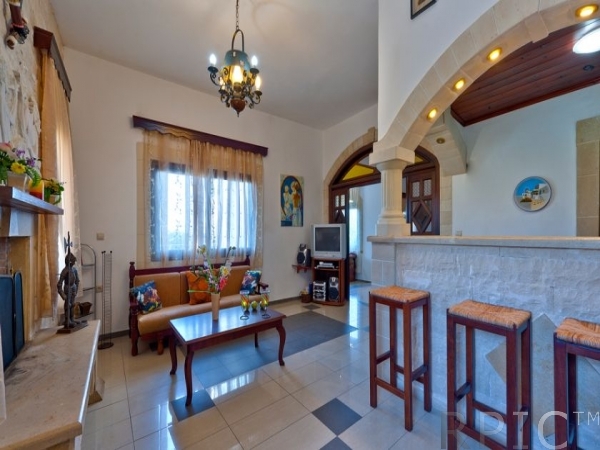 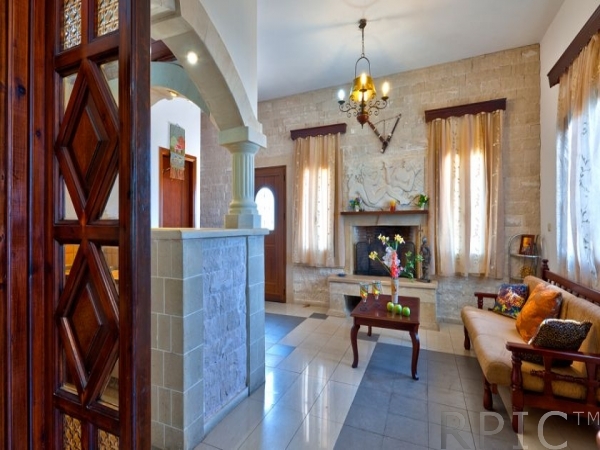 The interior architecture of the villa is unique; the fully equiped kitchen-bar (big refrigerator, dish washer, full size cooker) with the graven caves on the wall and the wonderful archs, the lovely dining room, the living room with the glyphic above the fireplace and the comfortable lounge create a fantastic atmosphere. 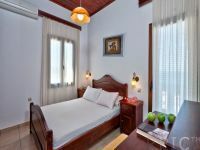 There are also a jacuzzi and hydro massage; the two bedrooms are air-conditioned and have one ensuite bathroom each. 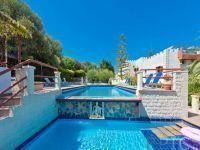 The property includes a good sized swimming pool, which is used by the guests of the villas Eva as well; although some of the most famous beaches of the island are so close, relaxing by the pool amid the smell of roses and jasmine is very tempting.